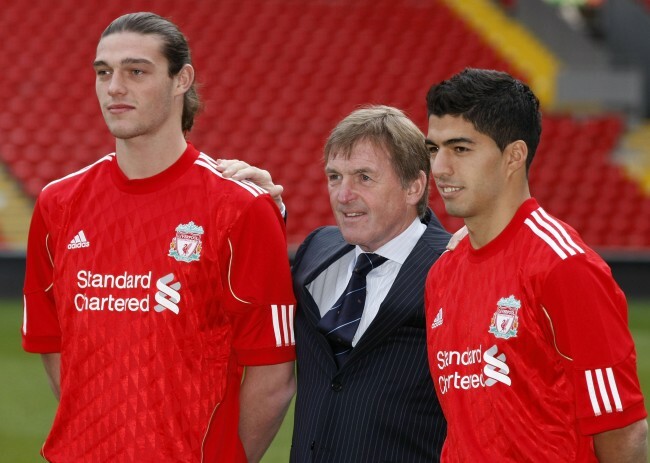 Liverpool manager Kenny Dalglish, center, poses for photos with new signings Andy Carroll, left, and Luis Suarez before a press conference at Anfield, Liverpool, England, Thursday Feb. 3, 2011. Are they laughing now? Why? Liverpool are the club who spent £35m on Andy Carroll. Ask anyone what the most laughable performance in the January window was and the answer will be Liverpool’s £35million splurge on Andy Carroll three years ago. And, in isolation, they’d be right. But if you analyse all of the Anfield club’s transfer business that month, it’s becoming one of the most profitable windows ever. I’m not a big fan of comparing players from different generations. Kenny Dalglish was an icon in that No 7 shirt, he was tough and he had everything in his game. Luis Suarez has been breath-taking at times this season but he has a way to go because of the trophies Kenny won. 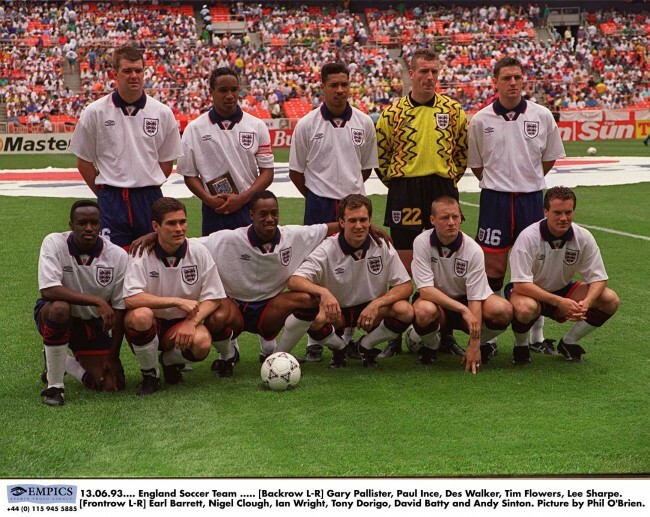 Maybe in King Kenny had played in this Liverpool team, he’d not have won quite so much. LIVERPOOL’S Daniel Sturridge only made it onto Everton’s pitch in the 79th minute of last weekend’s derby match. The reason was that he’d been less than sparkling in training. Brendan Rodgers says: “If you want to be a champions, you have to be ready. For this game, I just felt Daniel wasn’t ready.” Daniel went on to score in the 88th minute. It’s like cheating. Any victory that requires foreign help is hollow. If you’re English and not good enough to play for England you don’t just go and play for Ireland. WHEN Rafa Benitez left Liverpool, the club lost a great manager. But they never did build a statue to his name. Rafa was one of the things that made Liverpool great; they should have made a statue of him in the Tate. At Chelsea, Rafa did well. No statue, of course, but many appreciative Blues’ fans did tell him to get stuffed and offer to mount his head on a spike at Stamford Bridge. 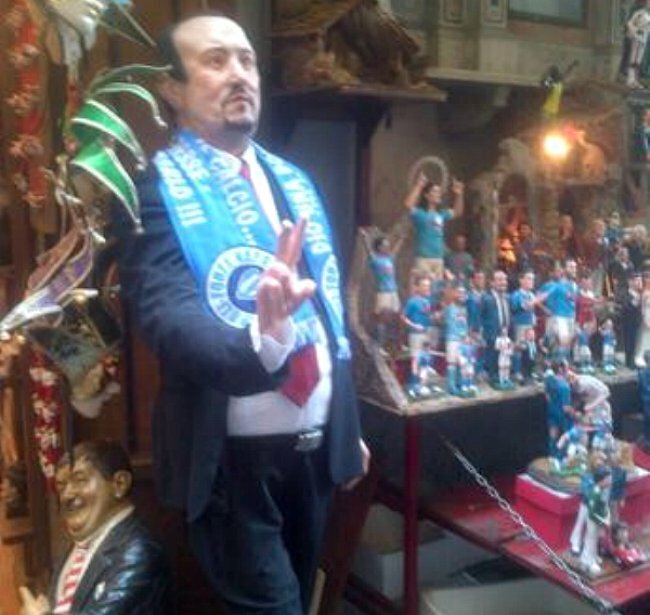 And then to Naples: a very slightly unsettling full 1:1 life-size terracotta figurine of Napoli manager Rafa Benitez, complete with ultra realistic signature paunch has ben spotted in the arcades. 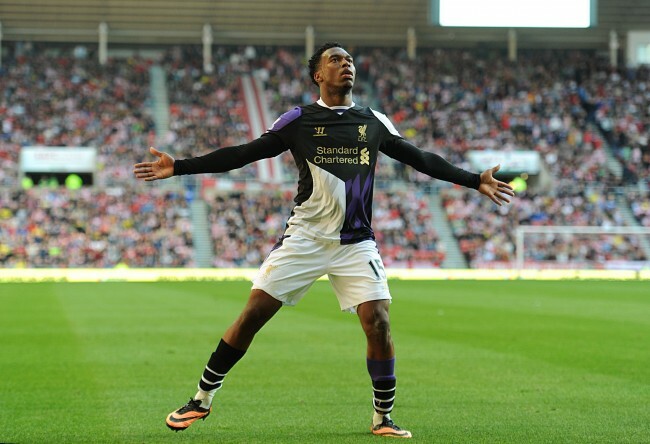 WHEN Liverpool played Sunderland at the Stadium of Light, England’s Daniel Sturridge scored the first goal with his elbow. Handball, surely. But the goal stood. Was it cheating, then? 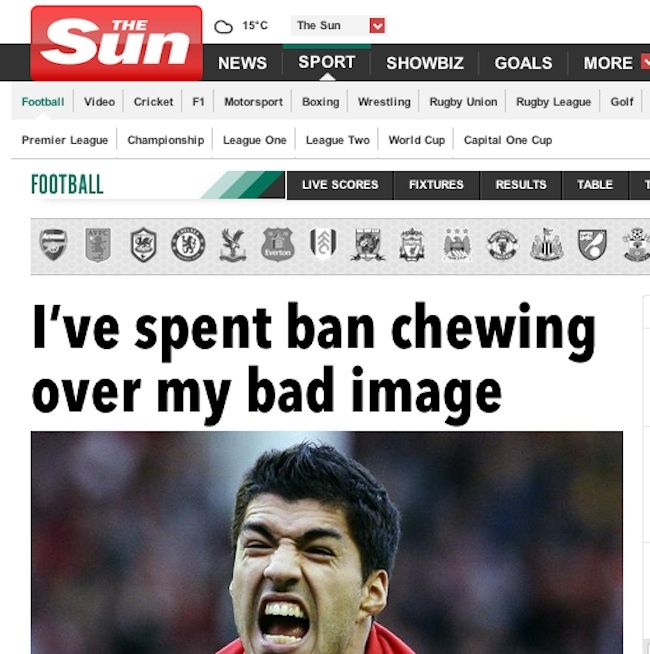 When Uruguay’s Luis Suarez scored with his hand against Macclesfield last season he was labelled a “cheat“. In the 27th minute Gerrard curled in a corner from the left which was met by the unmarked Daniel Sturridge six yards out, who was unable to make a connection with his head, but the ball bounced off his outstretched arm and beat Larsson on the line. 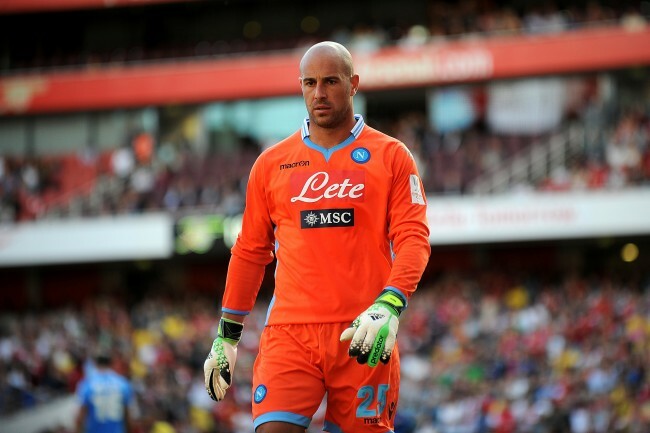 LIVERPOOL Watch: a look at the Reds in the news. An iffy start to the season might mean that the Premiership title is beyond Liverpool, but the Red half of Merseyside are at least top of one league – the country’s top footballing tweeters. Barclays has analysed Twitter traffic using Sysomos’ Media Analysis Platform (MAP) to see which teams and which cities were the centre of the Twitter-sphere throughout January, and found that when it comes to expressing themsleves in 140 charactars the Scousers come out top. There was apparently a million tweets about the Barclays Premier League and its clubs in January with Liverpool FC, the subject of nearly a third of those tweets (301,169). In second place was Arsenal FC (110,901), which is something of a surprise given the club’s lack of transfer activity. Chelsea FC (97,655) and Manchester United (86,249) roll in as third and fourth place. SMELL that? That is the smell of Liverpool FC. L4Men leads with the intense freshness of Robbie Keane and the garlic-infused sparkle of Fernando Torres. Note the virile blend of frustration and star anise which finishes down with undertones of second-hand tyre and gold top. This is Liverpool’s attempt to dethrone Beckham as the official smell of football. Right now L4Men is the official scent of the Premier League, but we can expect Liverpool’s rivals to up the stakes and take more vigorous approaches to the challenge of advancing the brand.